Head’s up. Halloween’s over so all attention is now focused on the Christmas holiday season. 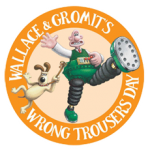 Beginning today, 2 November, Royal Mail and Aardman Animations, headed by W&G creator, Nick Park, have softened the blow a bit by creating this year’s holiday stamp offering from Royal Mail. In typical Aardman style, each stamp was meticulously crafted beginning with models, props and then background sets, all created specifically for this issue. 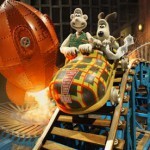 Meticulous is definitely an understatement as Park and team used the same process involved in creating the brilliant Wallace and Gromit films, but with the added pressure of bringing Wallace and Gromit down to the size of a postage stamp. 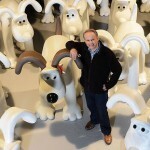 That incredible Aardman process can be seen in this video from Aardman. 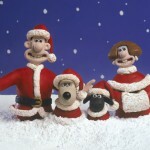 The great duo can be seen carol singing, trimming the Christmas tree, carrying Christmas cards, hauling a rather large Christmas pudding with, as you can imagine, Gromit getting tagged for most of the heavy lifting. I’ve got my first day of issue on the way, how about you?